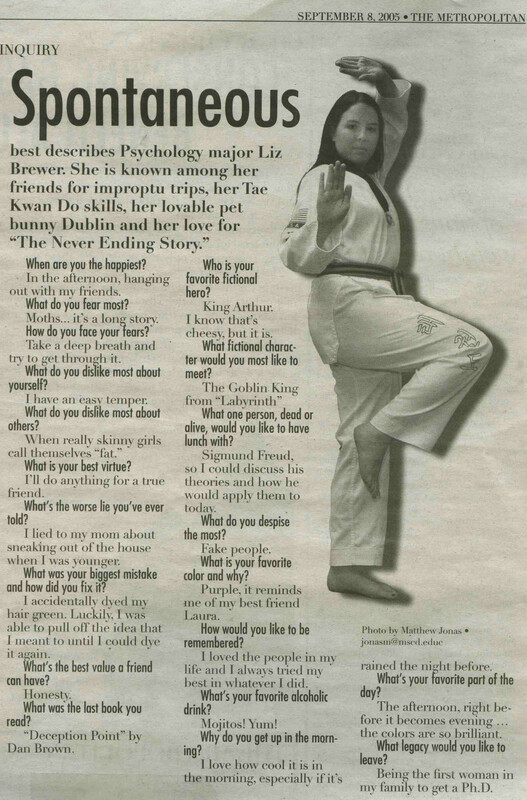 KAT masters are recognized experts on martial arts and we have been fortunate enough to have many amazing students throughout the years. 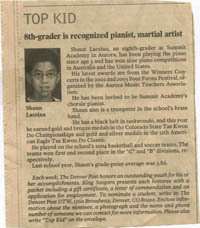 Here is a sampling of some of the news coverage our school and students have received. 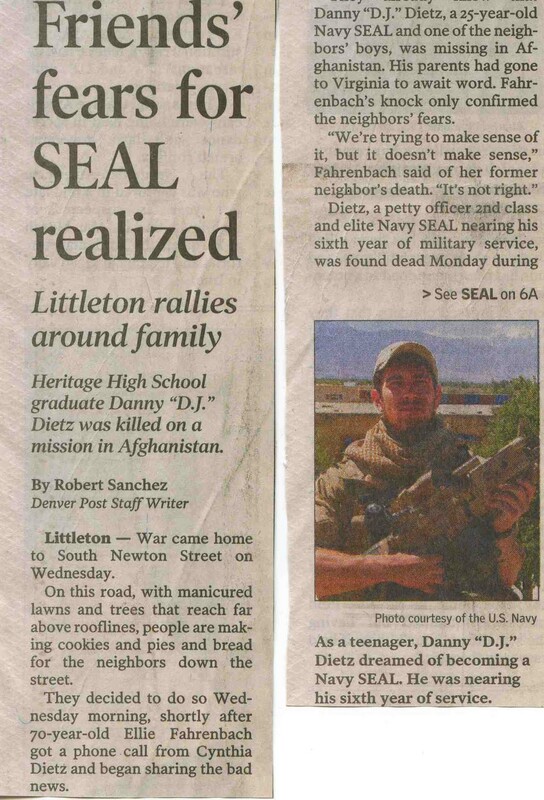 Click on each image to read the full article or watch the video. 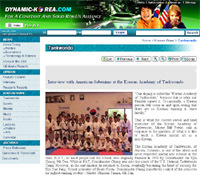 Since its founding in the fall of 2012, there are many articles about KAT students and instructors at http://www.coloradomanews.com. 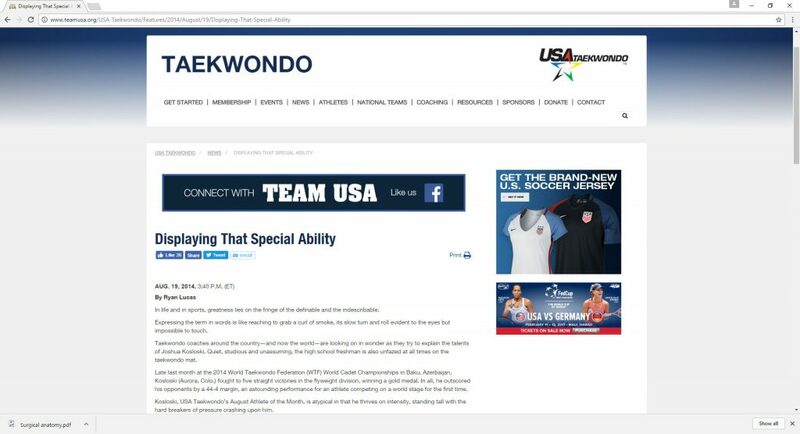 This page is normally updated every December. 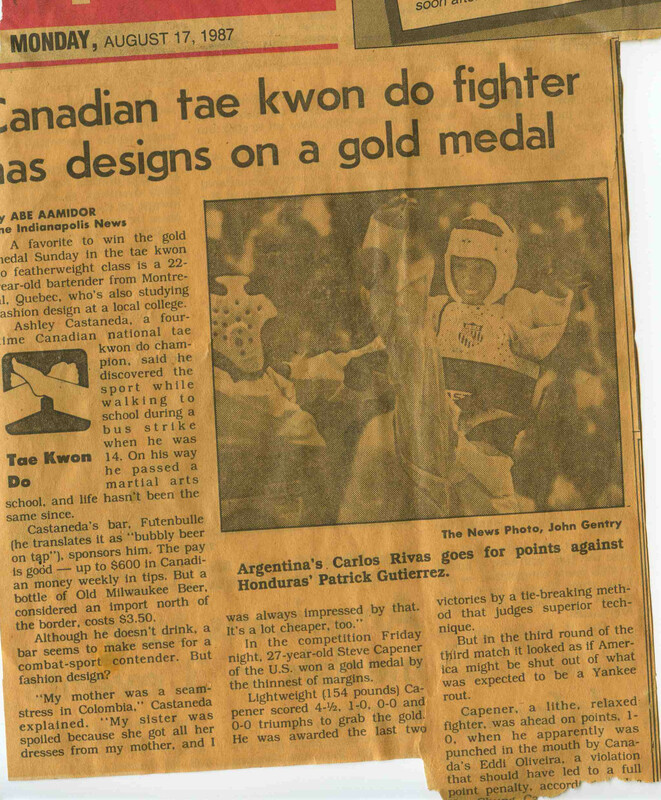 Grandmaster Chung coaches US Pan Am Team to near sweep. 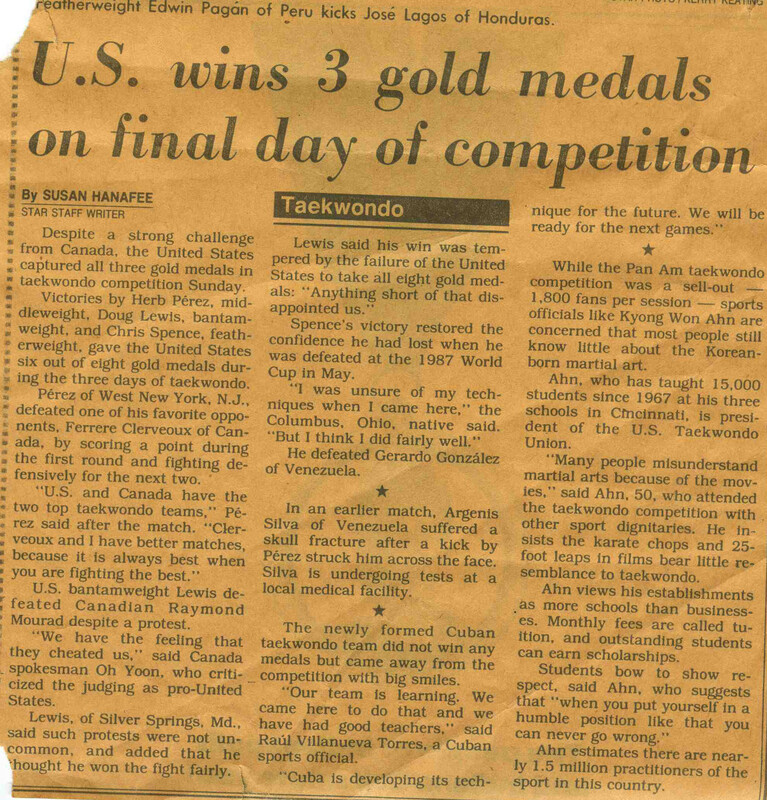 Grandmaster Chung coaches US Pan Am Team to near sweep. 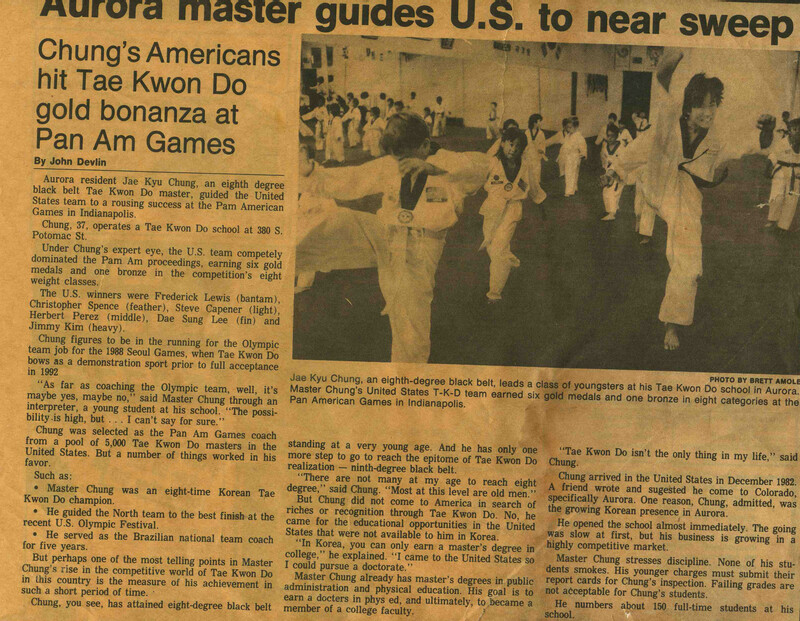 Grandmaster Chung coaches US Pan Am Team to near sweep. 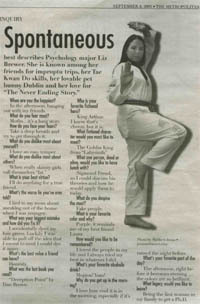 KAT and ACT students win medals in nationals Feb 2005- KAT is the featured school of USA Taekwondo! 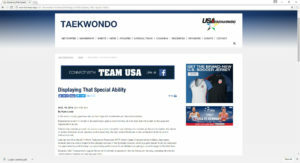 Master Ghassan featured in magazine article. 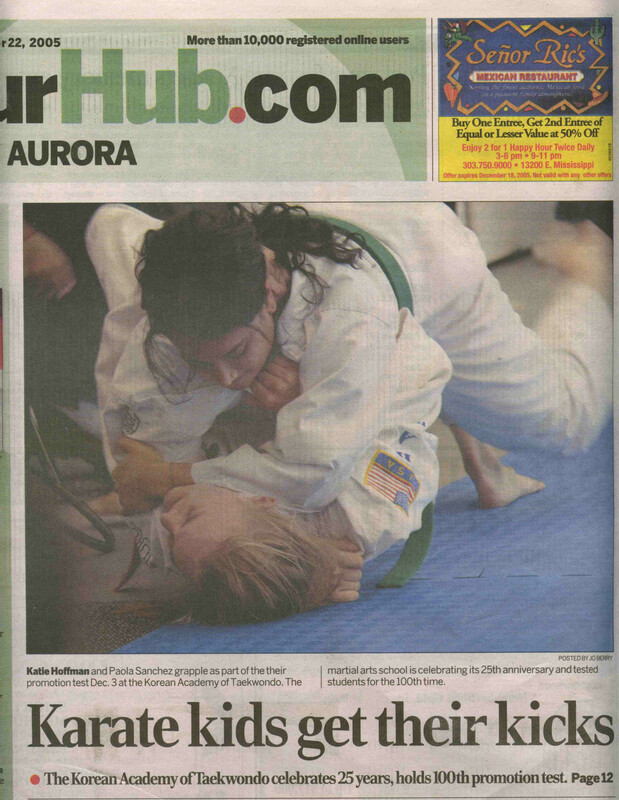 Sarah Gehrke featured in the Aurora Sentinel. 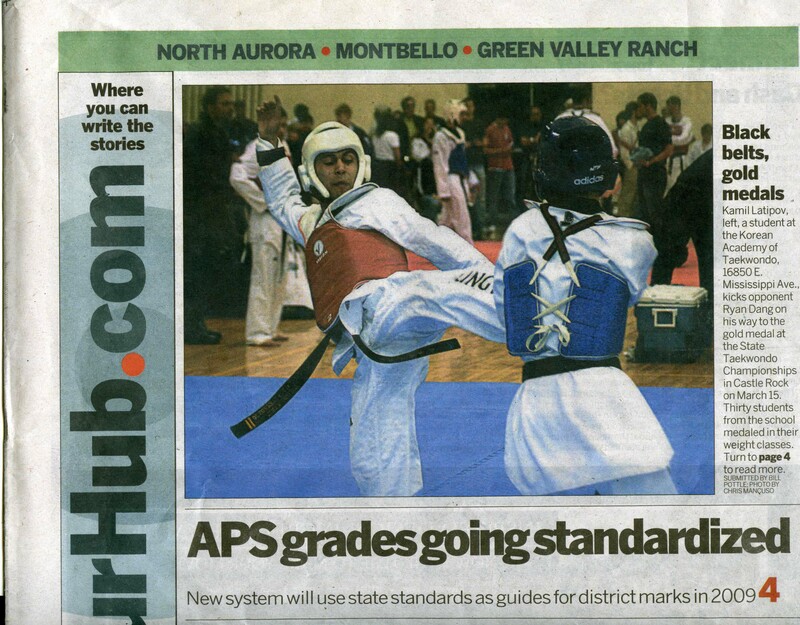 Kamil spars on the cover of the yourhub section of the Rocky Mountain News On the inside, students wait for their matches. 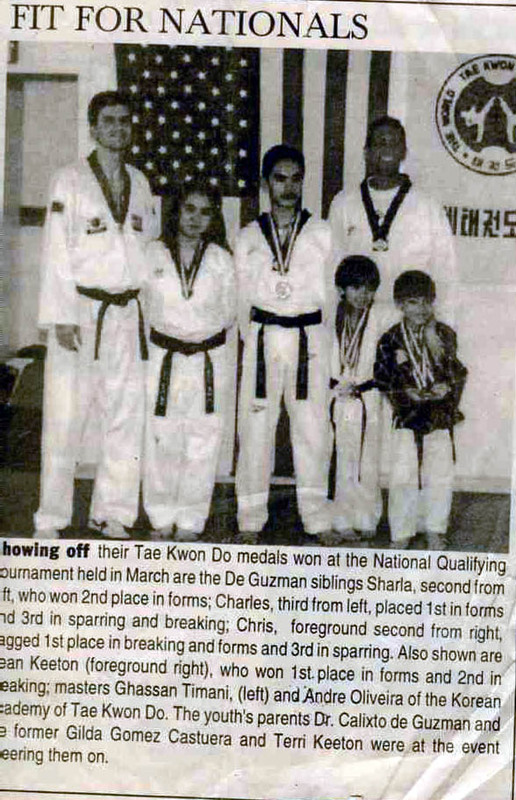 Tio Family featured in the Joshua Star for winning medals at National Qualifier Ron Roe is featured in Australasian Taekwondo(Formerly Asia’s Most popular TKD magazine). 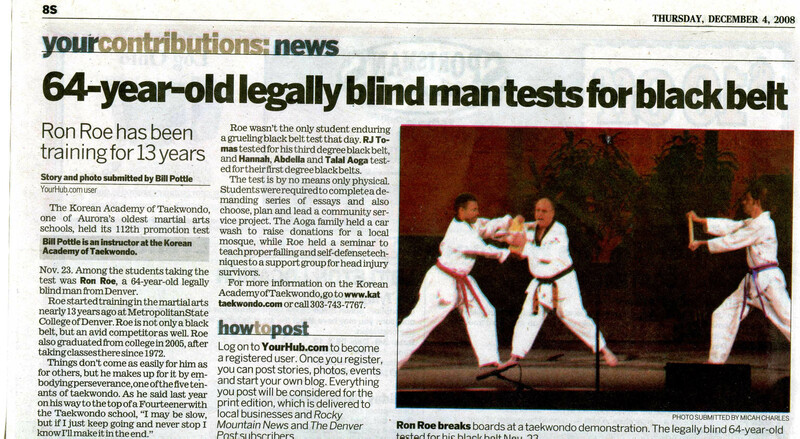 112th Test featured in yourhub section of Rocky Mountain News. 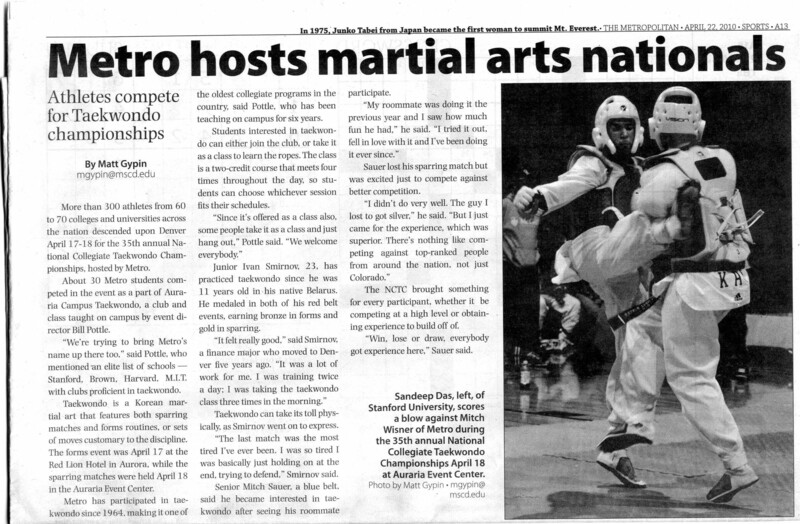 Master Bill featured in article in The Metropolitian about Metro State Martial Arts. 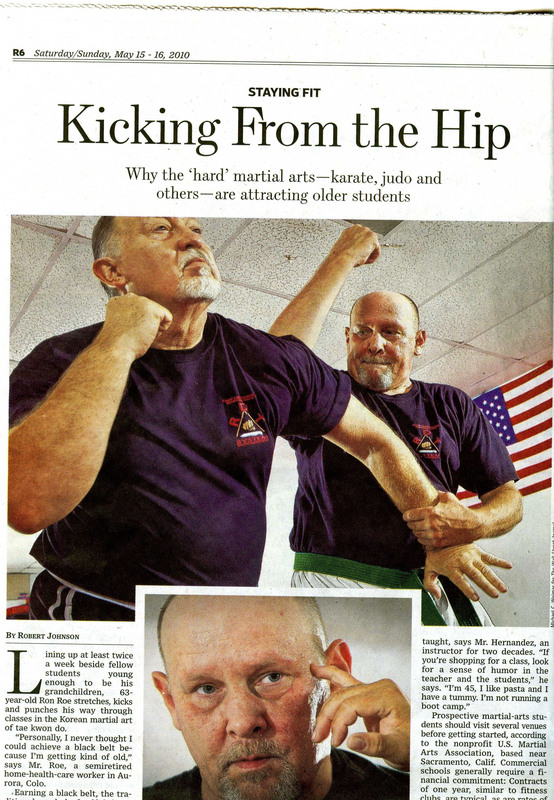 Master Bill, Ron Roe, and Master Bob featured in Wall Street JouralArticle. 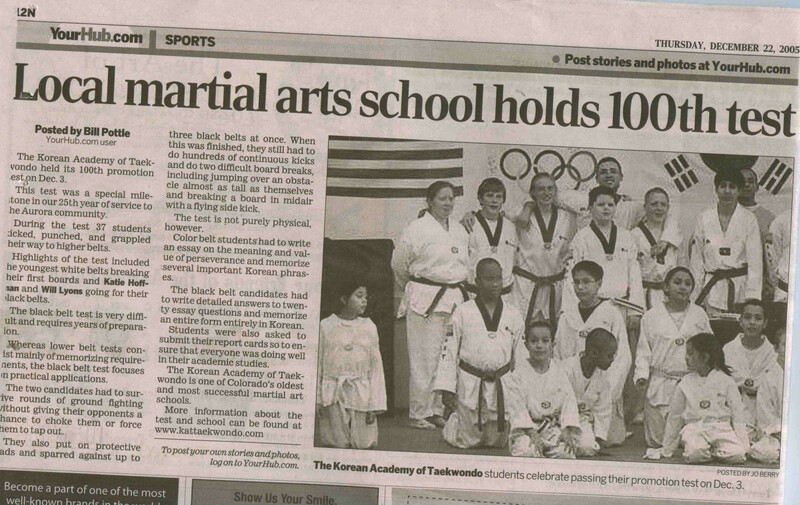 Part 2 of WSJ article on older students practicing Taekwondo. 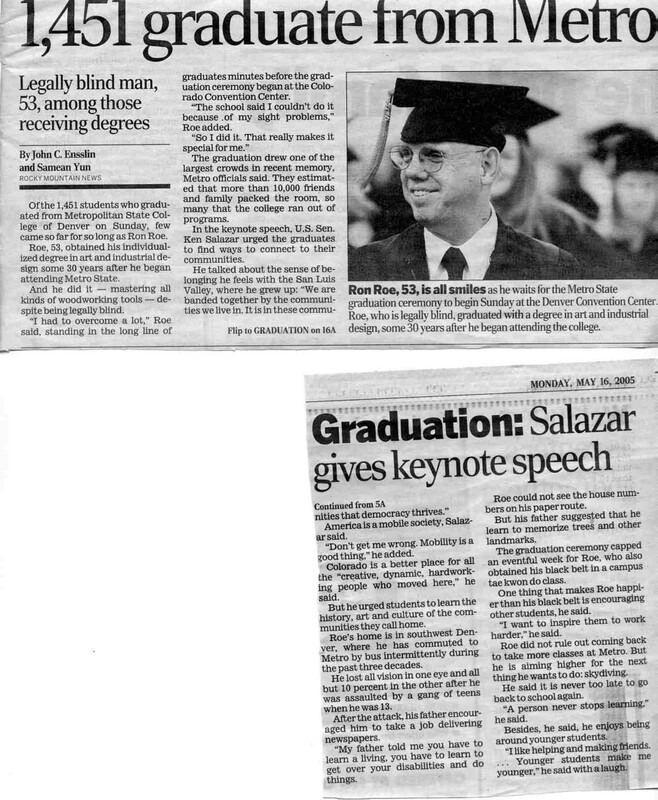 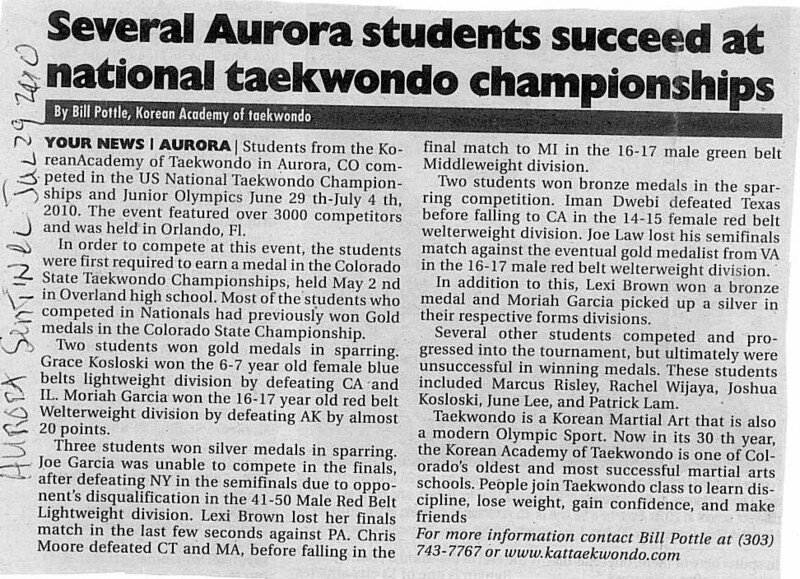 2010 Nationals Success featured inDenver Post. 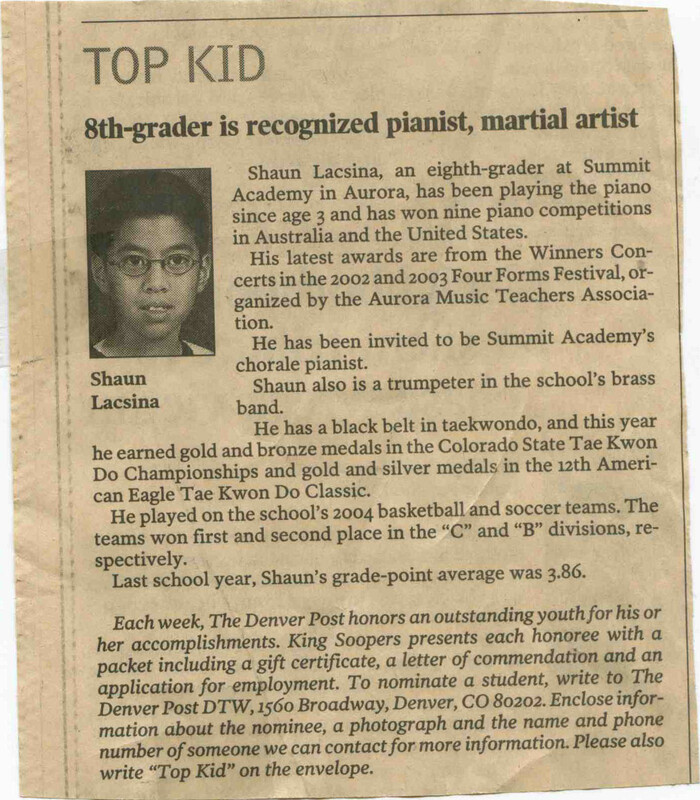 Josh K wins the 9 News Top Sports Moment of 2011. 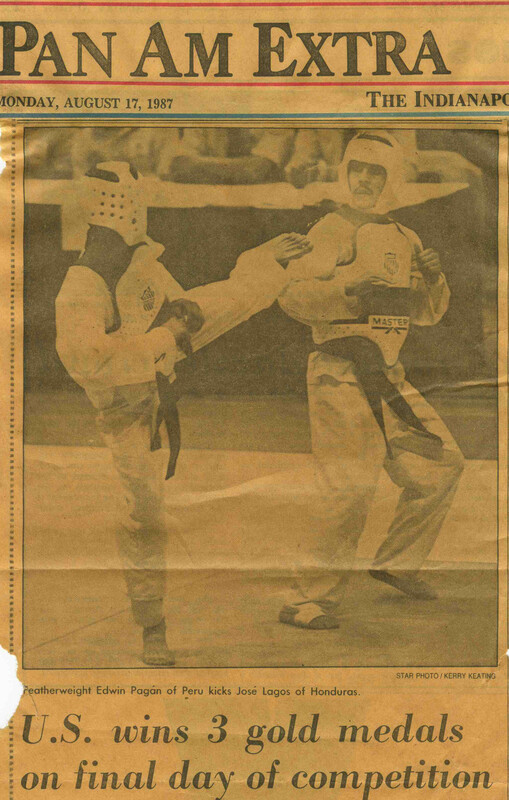 Master RJ Tomas (AKA Ryan the Robot) used his martial arts and teaching skills to earn a spot on the hit show Pinoy Big Brother out of 35,000 people who auditioned. 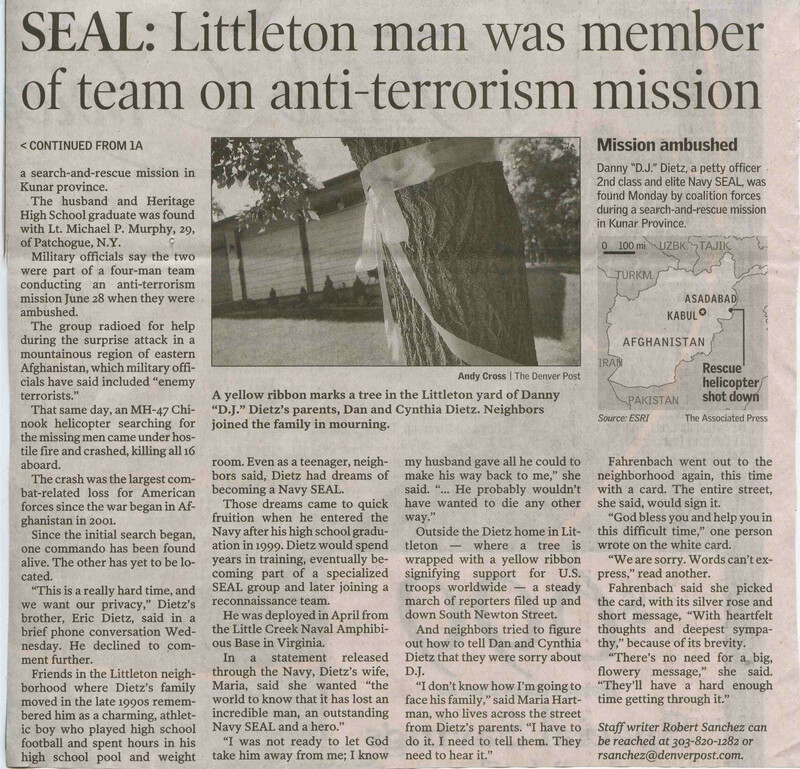 He followed this with numerous TV and media appearances seen by millions of people. 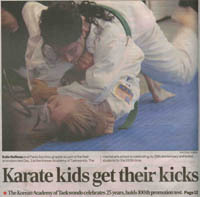 Josh and Grace K earned theDenver Post’s Youth Excellence in Sports Award. 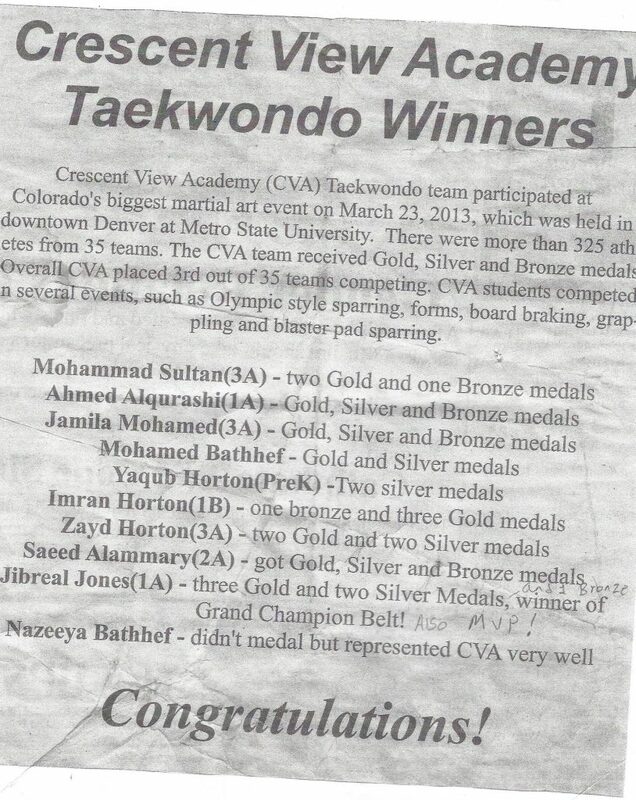 Crescent View Academy students are featured in theFront Range Muslim News for success in the White Tiger Championships. 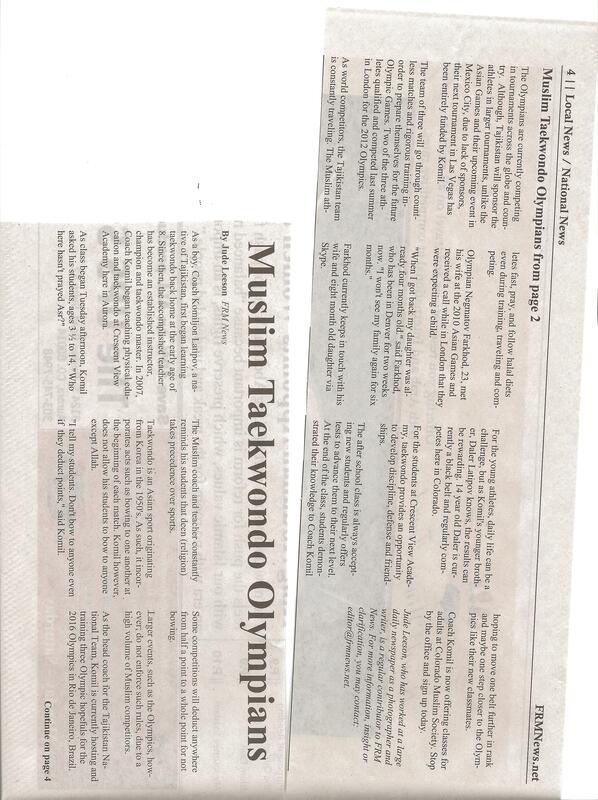 Master Komil is featured in the main Tajikistan Sports Newspaper. 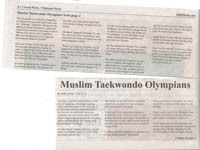 Click on the story and copy the text into Google Translate to view. 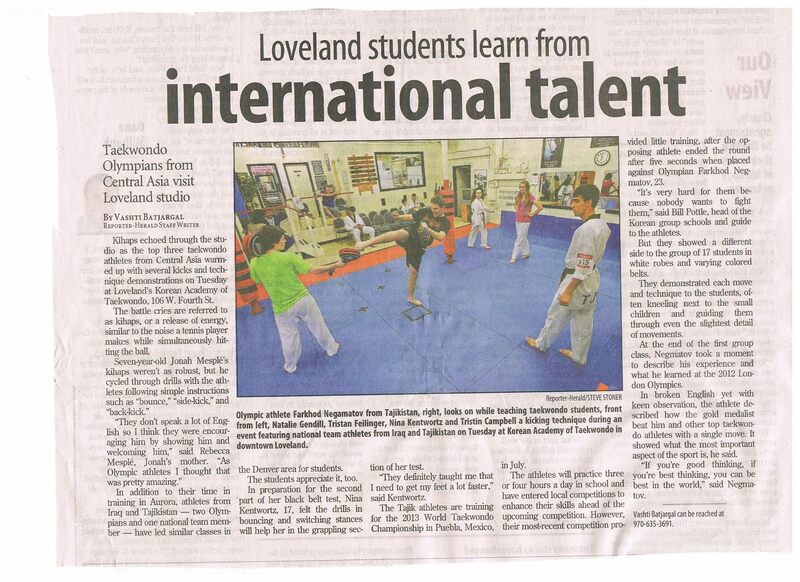 The Loveland Reporter Herald featured the school and the Olympians’ class. 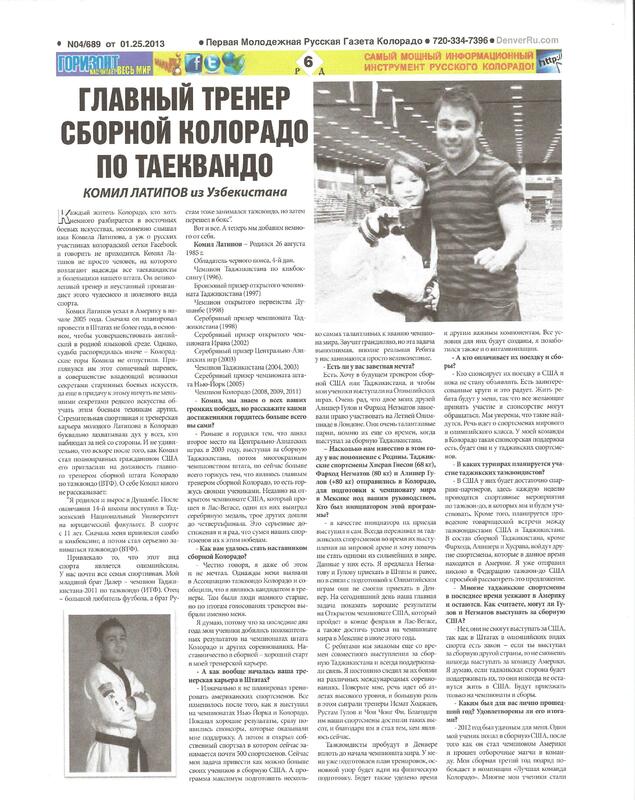 Master Komil featured in the Gorizant Russian Newspaper. 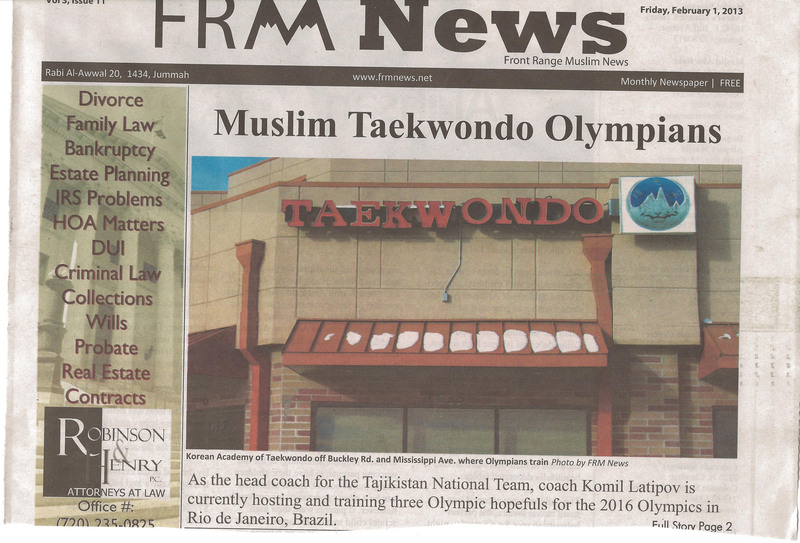 KAT and Olympians on the front cover of the Front Range Muslim News. 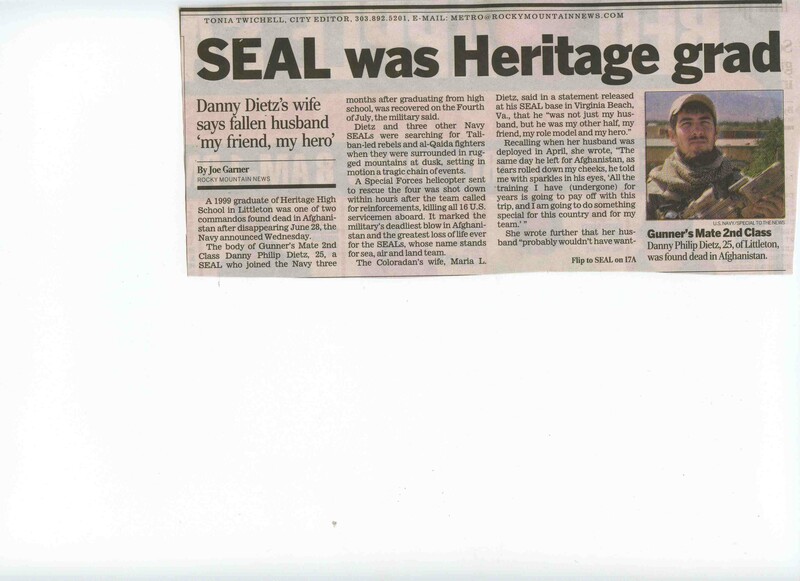 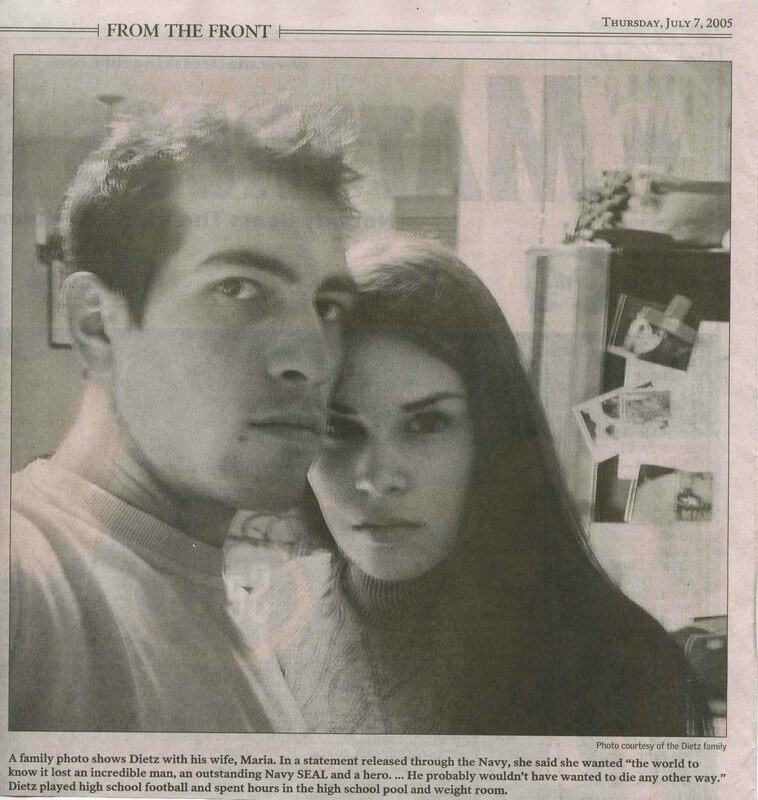 The rest of the article. 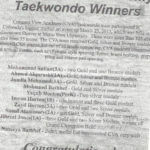 CVA Students receive recognition for competing in the Twin Dragons Tournament. 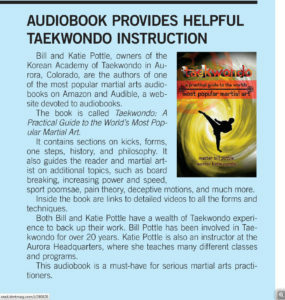 Taekwondo Times gives high praise to our audiobook, the first martial arts instructional content available on audible.com. 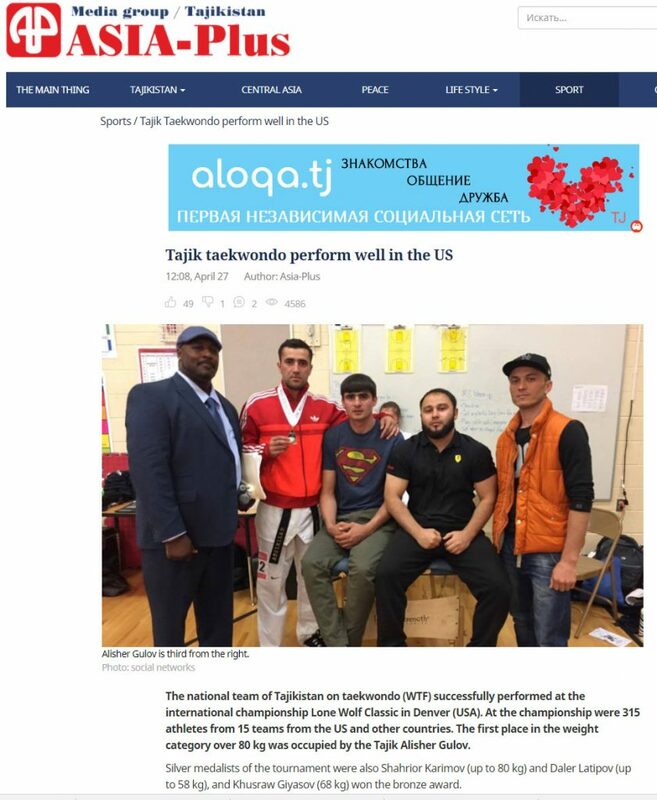 KAT students from Tajikistan featured in Asia Plus News. 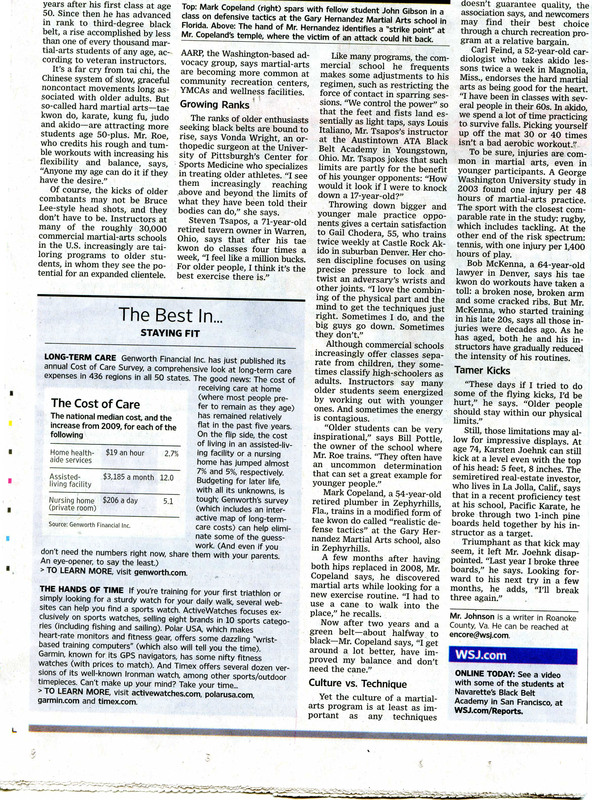 Write up of Metro Class on 50th Anniversary in the Metro Post Telegraph. 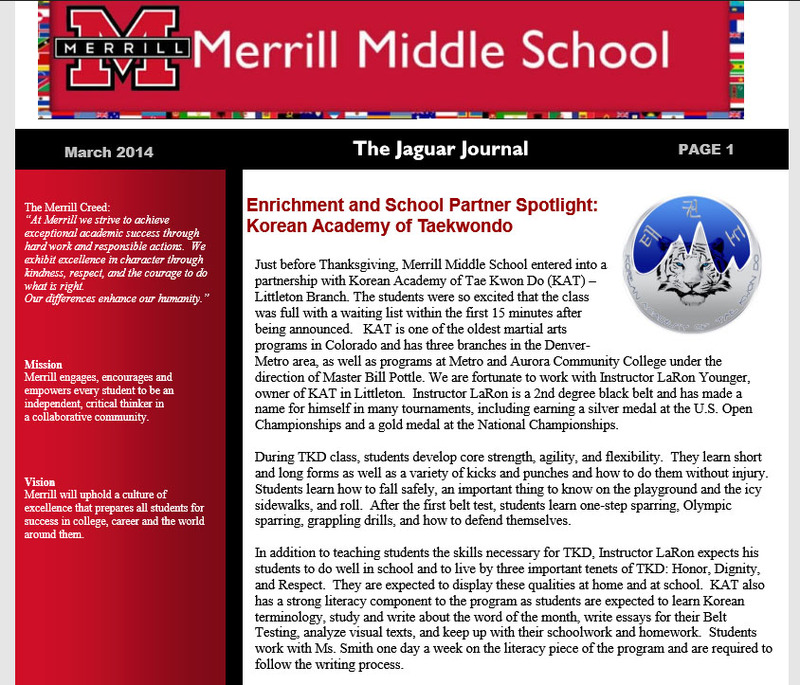 Writeup of class at Merrill Middle School in the Jaguar Journal. 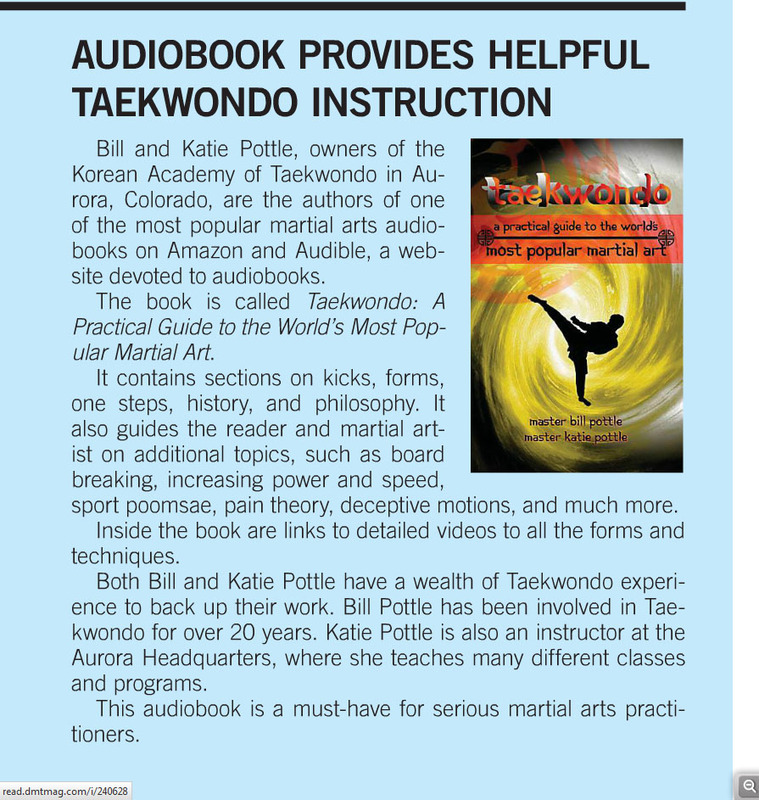 Colorado Martial Arts News profiles KAT becoming first dojang to host black belt records on blockchain.